If you need help falling asleep, it’s far too easy to rely on snake oil remedies or harmful pharmaceutical sleeping pills to get the job done. While natural sleep aids, like Melatonin and even Chamomile tea, are safer options, sometimes they’re not enough. There is, however, a cost-effective solution that doesn’t come with any side effects: using a sleep mask. Read on to learn more about the proven benefits of wearing an eye mask, wherever and whenever you need to fall asleep. So, why are so many scientists enthusiastically endorsing sleep mask? Mainly because the evidence for the benefits of a sleep mask -- and the health risks of light pollution -- have been proven by countless scientific studies. Excessive, intrusive light at night has been scientifically proven to interrupt your body’s natural levels of hormone production. It also impacts your cell regrowth rate, and even messes with the patterns of your brain waves. This is because of light pollution, whether from your electronics or outside, throws off your body’s circadian rhythm. What Are the Health Risks of Light at Night? For starters, you’re more susceptible to insomnia and other sleep disorders. However, science also shows far more sinister consequences. All of this, only from indoor and outdoor light pollution. So it’s no exaggeration to say that wearing a sleep mask could quite literally save your life. According to a study written up in the National Sleep Foundation, participants who slept with eye masks experienced both physical and psychological benefits. They were also far less prone to disruptions in their sleep patterns than those who slept without masks. Get FREE tips on sleeping better and live a happier life! 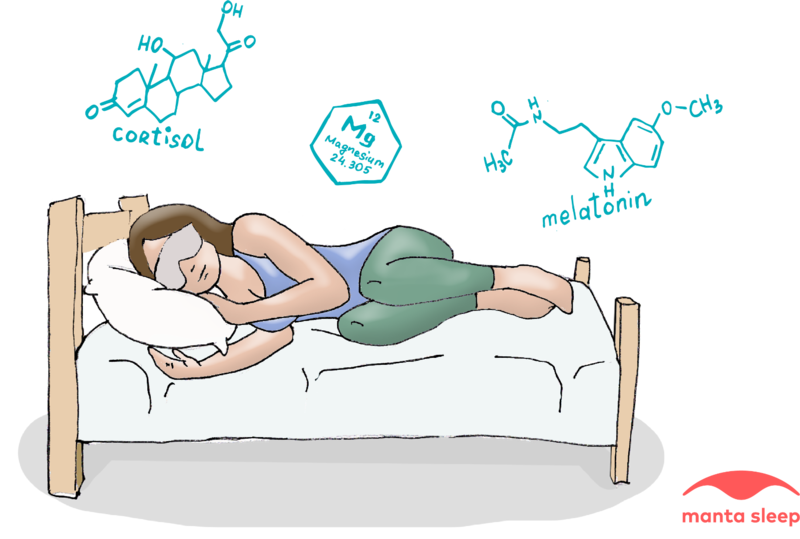 This study revealed that there was a drastic difference between the levels of cortisol and melatonin -- two hormones responsible for regulating your body’s sleep pattern -- between those who slept with masks and those who did not. Those without sleep masks had significantly lower levels of these two crucial hormones. As a result, they were more likely to be woken up, and also experienced worse sleep quality than those who wore the masks. The study also confirmed that those who wore sleep masks experienced an increase in the length of their REM cycle. Of course, a sleep mask isn’t the only tool you need to help you fall and stay asleep. To cut down on noise pollution, invest in a set of earplugs or a white noise machine. Consider having your dog sleeping with you if you find it tough to fall asleep on your own. If you need to sleep on an airplane, or on the go, grab a travel pillow to help keep you comfortable and prevent neck and back pain. For more unbeatable sleeping tips, be sure to check out the other articles on our blog. Never thought you needed a sleeping mask? Here's why you should get one NOW!